Femme Fatale Records: Happy Easter from Femme Fatale Records and the One Eyed Cats! 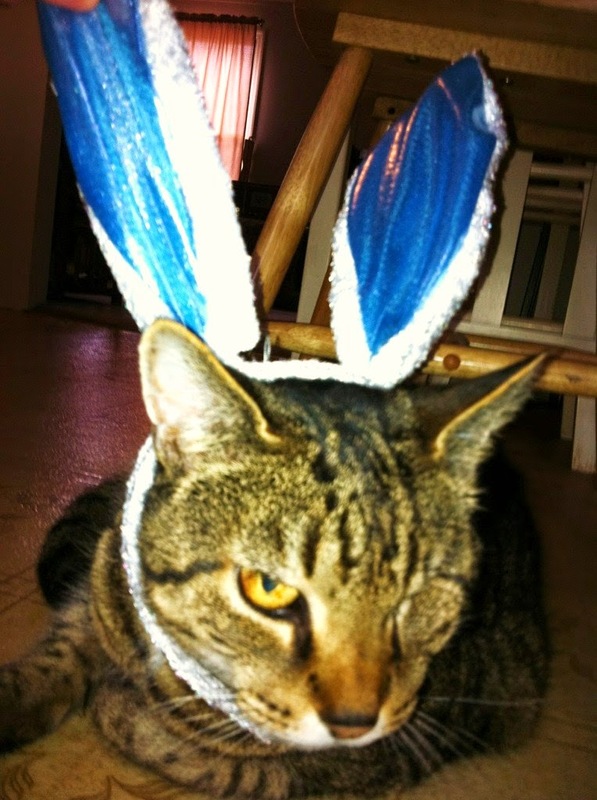 Happy Easter from Femme Fatale Records and the One Eyed Cats! ROCKY IS ALWAYS READY FOR THE SEASON.. LOOKING GOOD, WHO KNEW CATS LOVE RABBITS TOO..!